Flying Coyote Farm is a certified organic and biodynamic farm located 25 miles east of Portland, Oregon at the base of Mt. Hood. At Flying Coyote we use bio-intensive growing practices on our 3-acre home farm to raise high quality produce, meat and value added products. Additionally we lease 3 acres of land 15 minutes down the road where we grow vegetables on a more mechanized system. Our primary outlets for our produce are our 130 member CSA program, farmers’ markets, local restaurants and groceries. We also have an extensive livestock program: we raise pigs and pastured chickens for meat using an intensive grazing and pasture rotation system. Each year we raise 1000 broiler chickens for our house and for sale, and we generally raise and process 10-15 pigs annually. 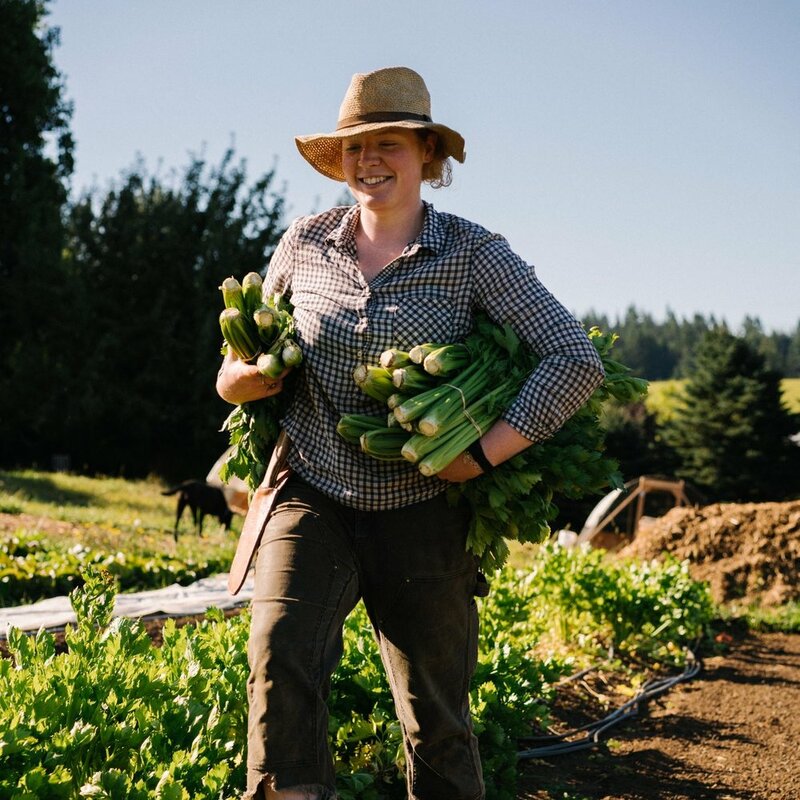 Our crew consists of Lili Tova (farm manager), 2-3 part time harvest positions, 2-3 part time fieldwork positions and two full time apprentice positions. We also host volunteers and WOOFERS during the main growing season.